The CQ range provides an innovative fully-concentric and balanced actuator design for quarter-turn valves. The design features a helical mechanism that transforms linear piston motion into quarter-turn valve stem rotation. CQ actuators provide a much higher torque output for a given footprint than scotch yoke designs typically utilised to operate many quarter-turn valve types. It is therefore ideally suited for installation in confined spaces. 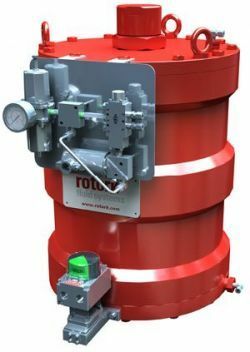 Further, Rotork’s unique helical pin design provides higher efficiency than a helical gear mechanism utilised by other valve actuator manufacturers. As standard, the CQ torque output profile, like that of a scotch yoke actuator, is engineered to parallel the torque demand profile typically found with popular quarter-turn valve types. 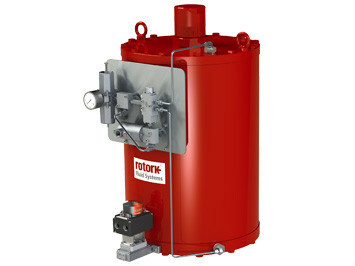 The CQ design however is unique in that the torque profile can be custom engineered and manufactured to meet specific, non-standard valve torque requirements. In our experience, the CQ standard range of sizes is suitable for applications that require a pneumatically powered actuator with torque demand less than 150,000 Nm. However, we also engineer CQ actuators with greater output and/or hydraulic power. Please apply to Rotork for these applications. See CQ literature page for further details.